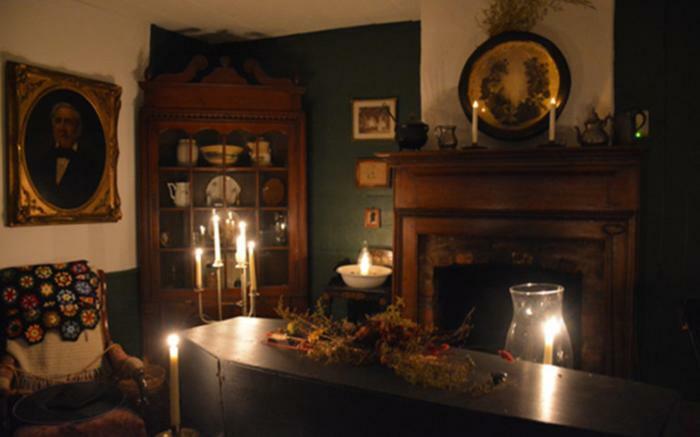 "Halloween Hauntings" Storytelling Tours are "hauntingly good" fun! Enjoy the fascinating stories of the various inhabitants and travelers who stayed at the inn and hear the fabled ghost stories that surround them and others.This unforgettable and ethereal entertaining excursion includes a candlelight tour of the inn, cookhouse and blacksmith shop. So while you are visiting the past, you might just feel a presence as you explore the buildings and grounds of Compass Inn Museum. Come in costume if you like.